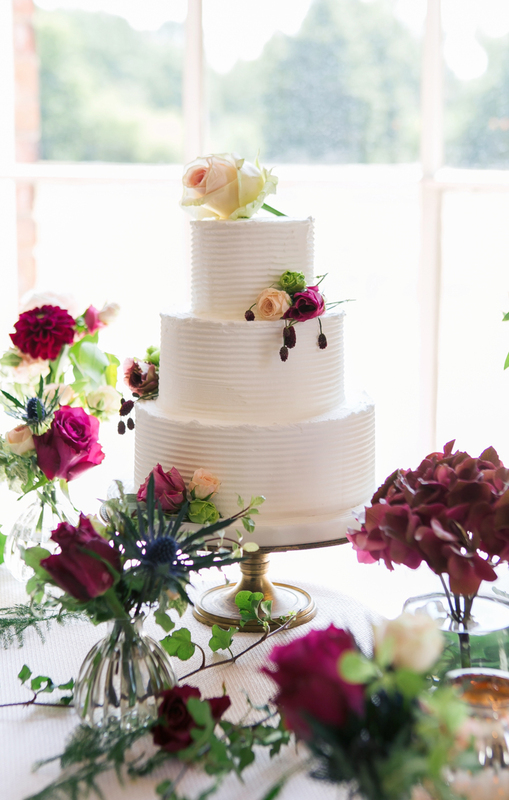 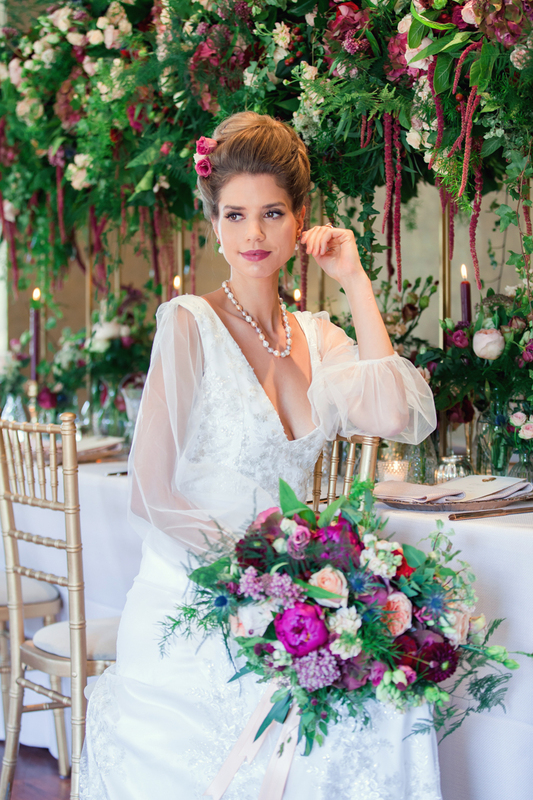 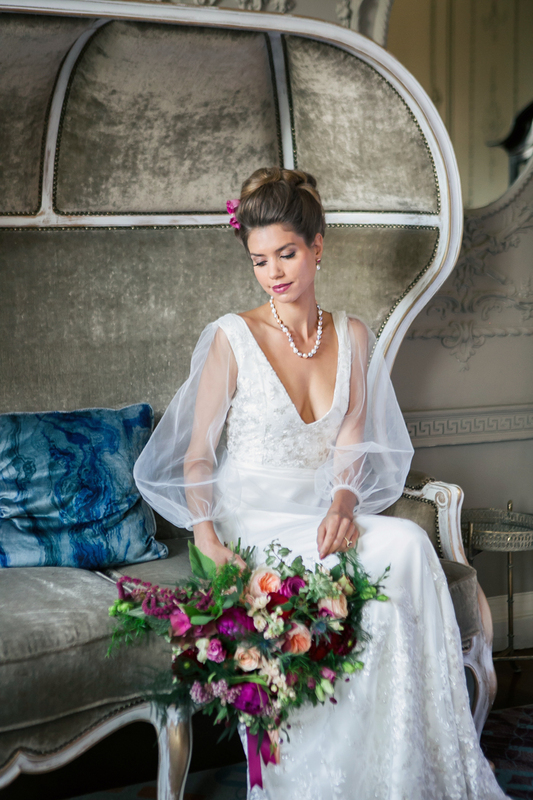 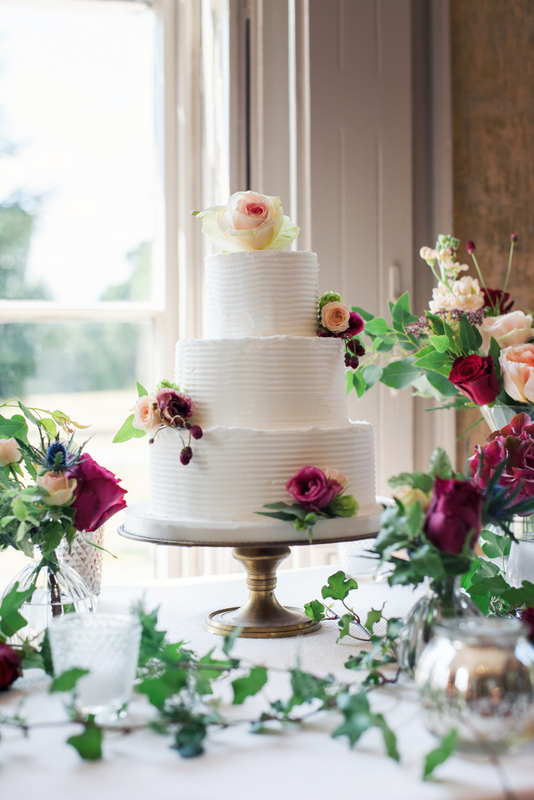 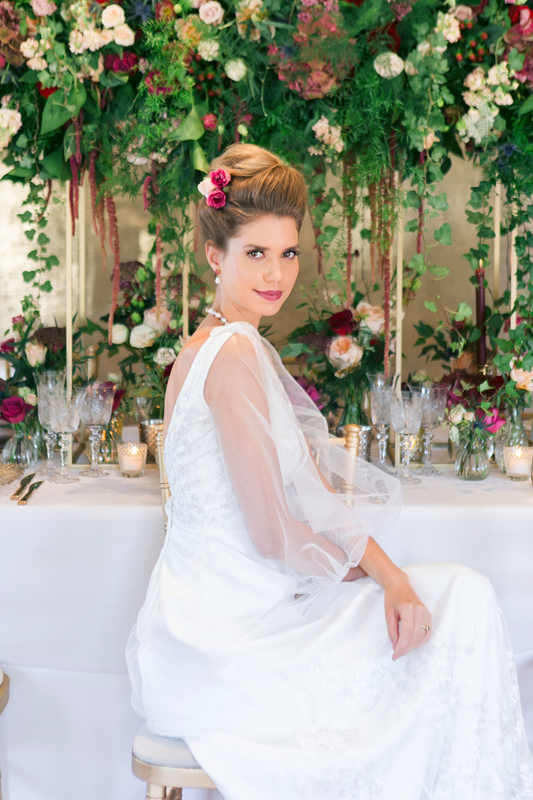 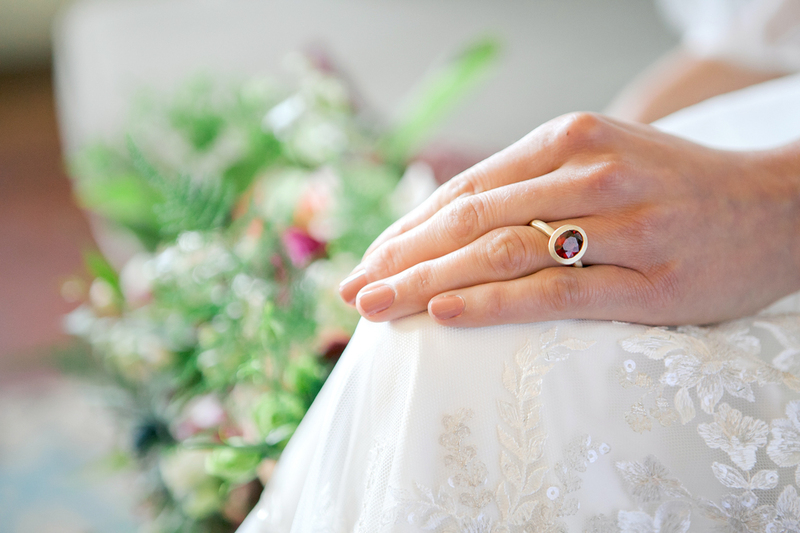 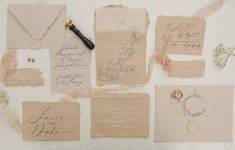 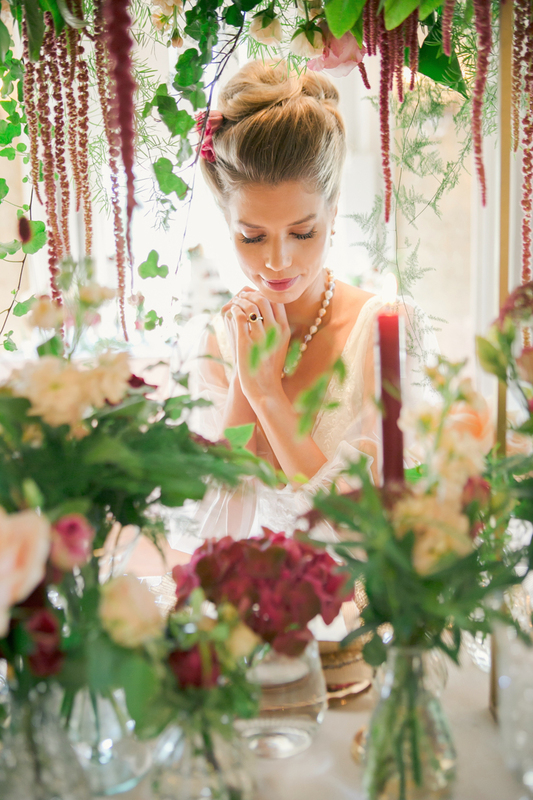 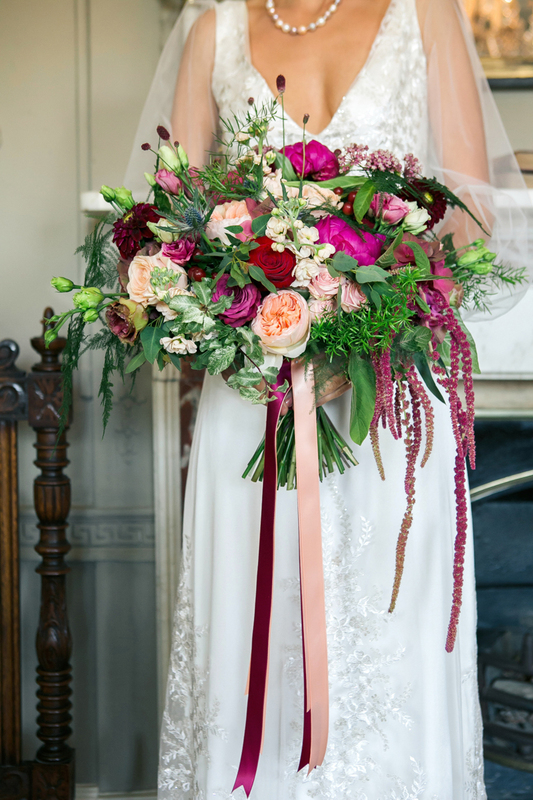 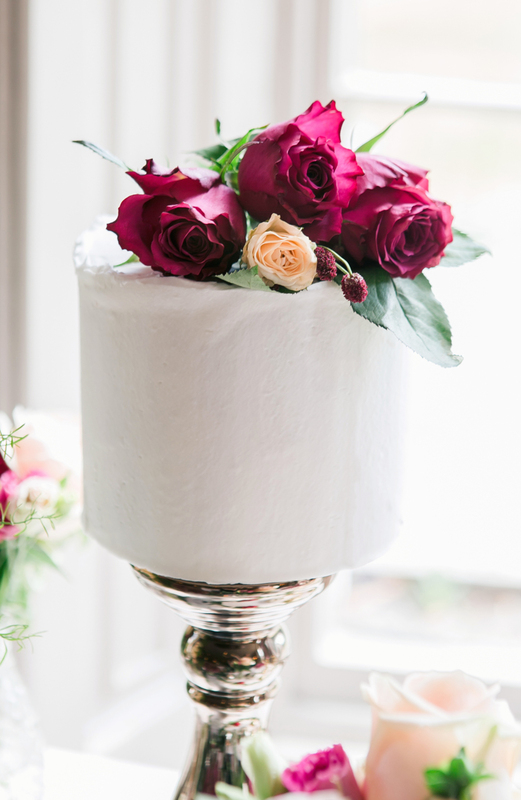 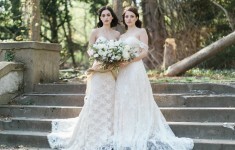 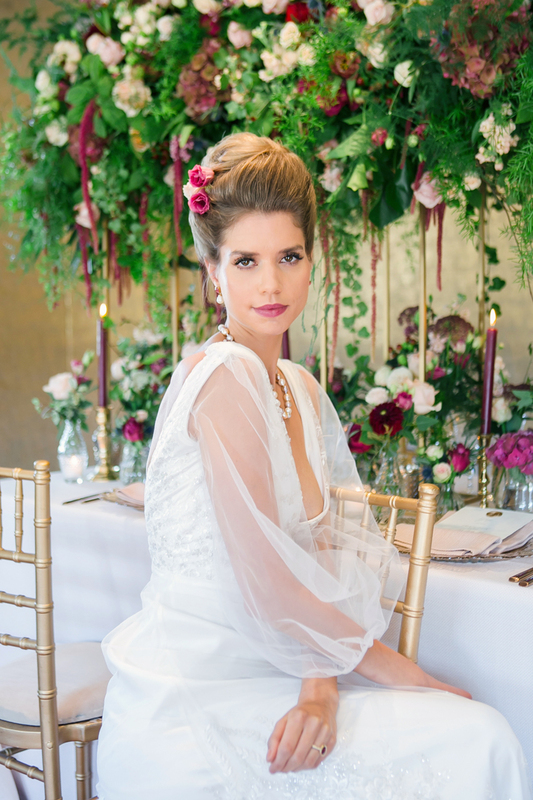 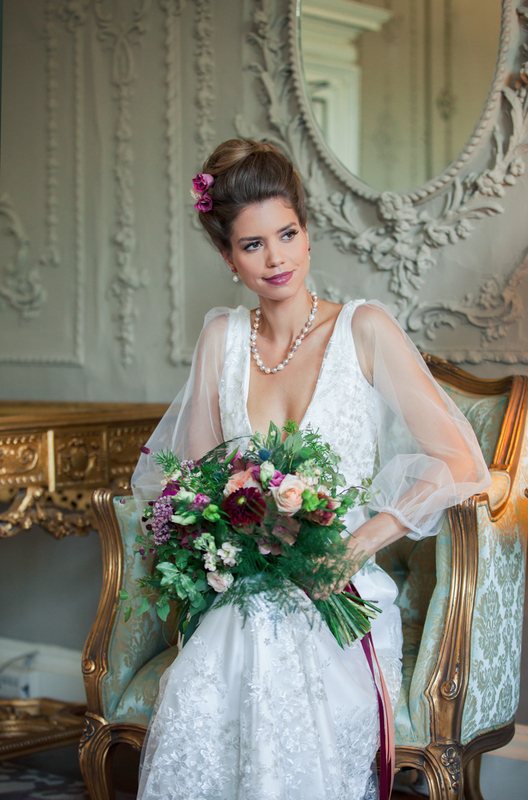 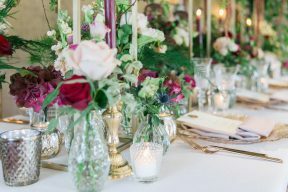 Let us add pure opulence to your day with this dreamy wedding inspiration shoot by Lisa Payne Photography set at the beautiful elegant venue of Stoke Place in Buckinghamshire. 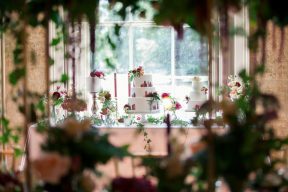 I had the pleasure of staying at Stoke Place this Summer and loved the beautiful features which have been given a modern elegant feel and creative touch. 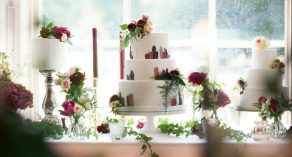 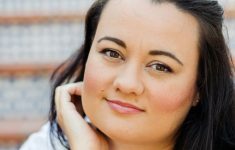 It’s a stylish venue with wonderful gardens and so I was really excited to see what Lisa created here! 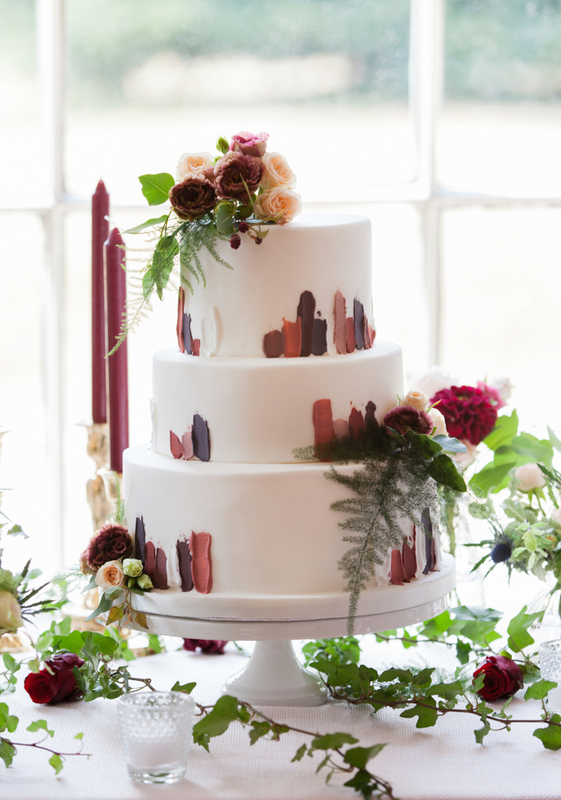 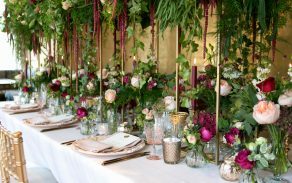 “Inspiration has been taken from the rich season of winter, marrying deep damson and berry tones with soft peach hues adding lightness and texture throughout. 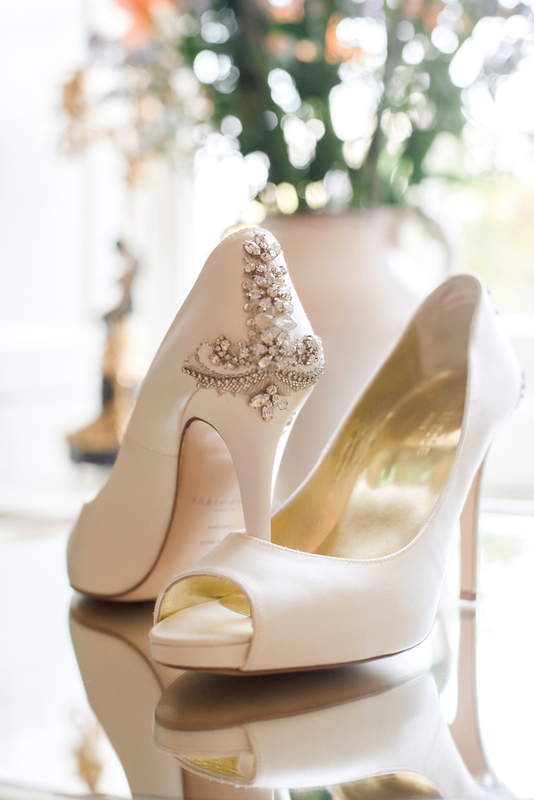 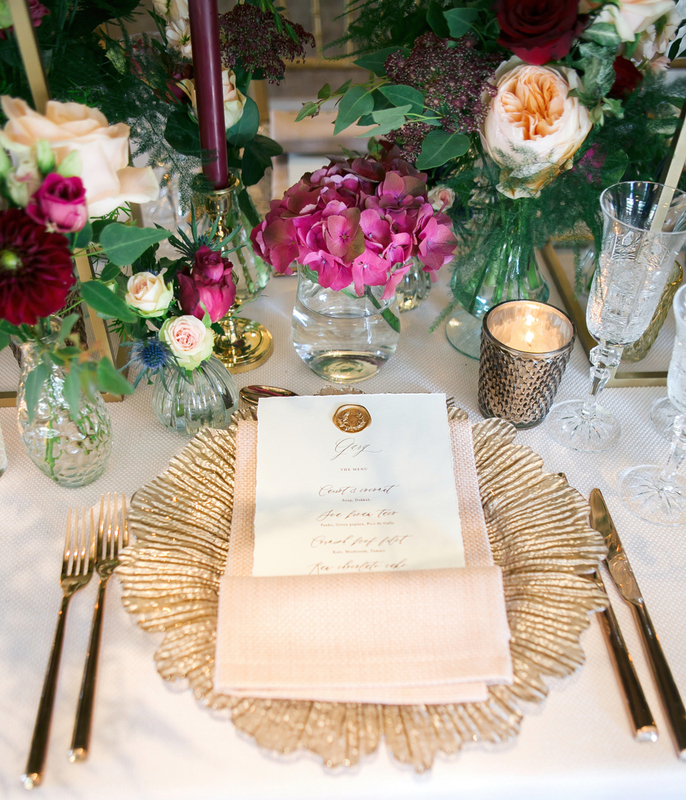 With luxury and extravagance at its core, each detail was curated or designed with this in mind. 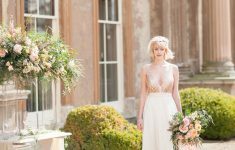 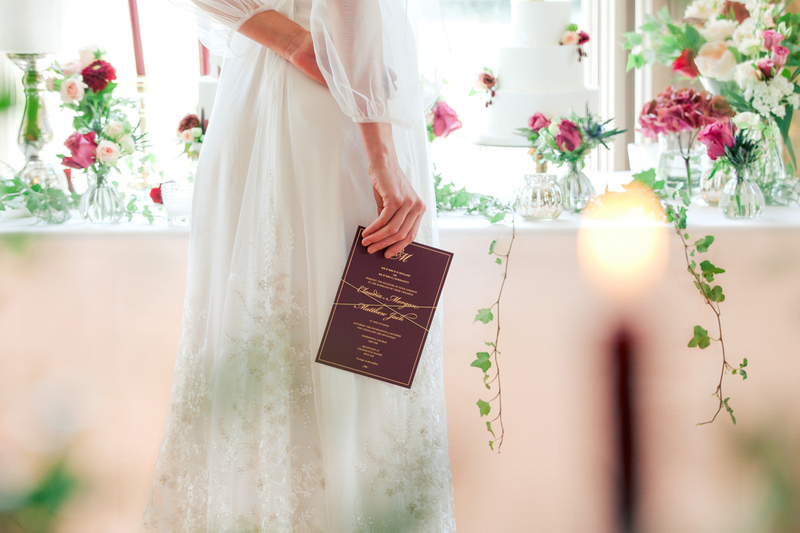 We see our bride exploring the house in a bespoke wedding gown by Kate Edmondson Bridal Couture with delicate lace detailing, long sheer sleeves and cut with a plunging neckline and back detail. 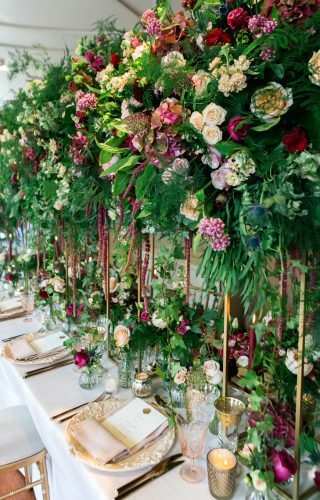 The flowers by Ivy Amelia Florals, create a spectacular tablescape for an intimate wedding breakfast, and add romance and depth to the room. 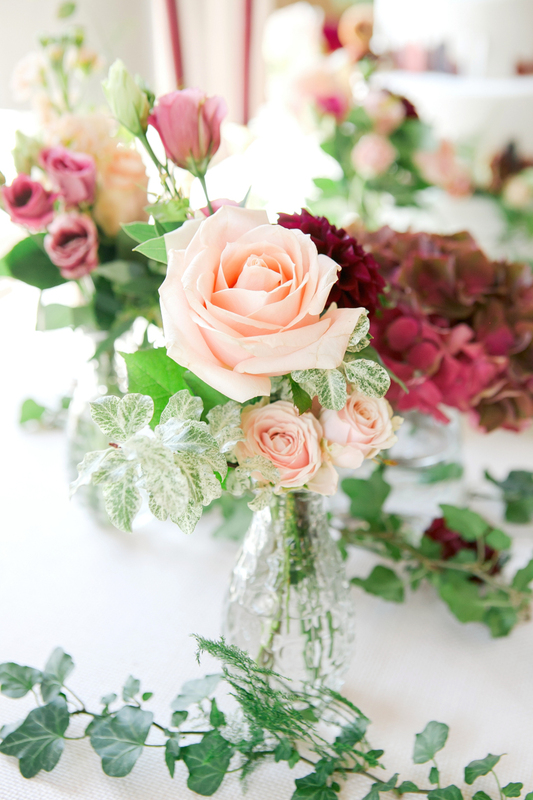 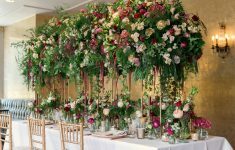 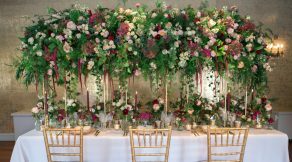 The abundance of hundreds of roses were mixed with seasonal blooms and trailing foliage. 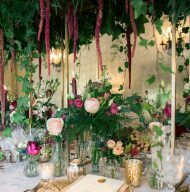 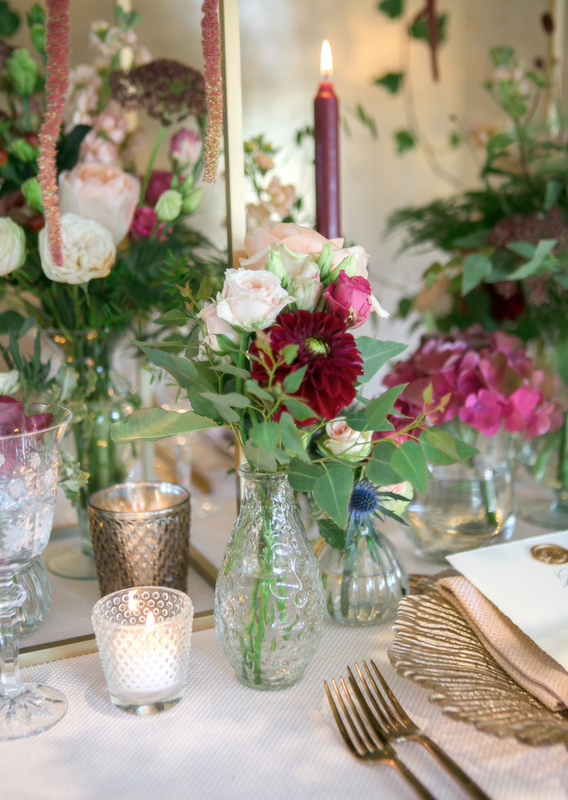 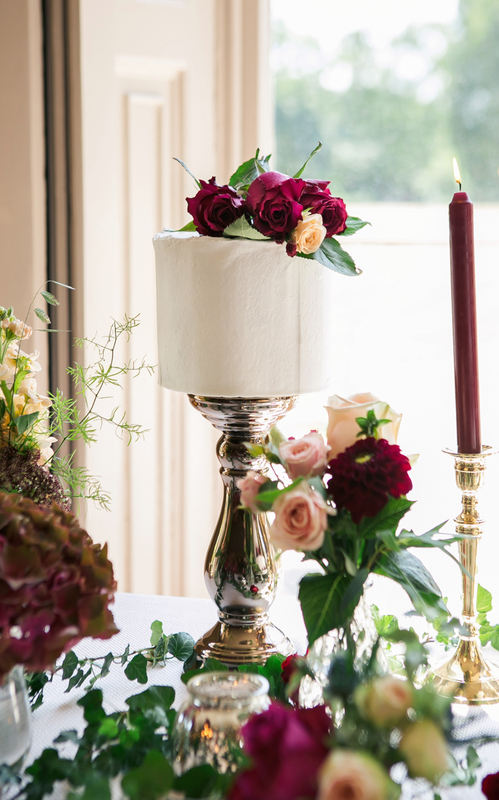 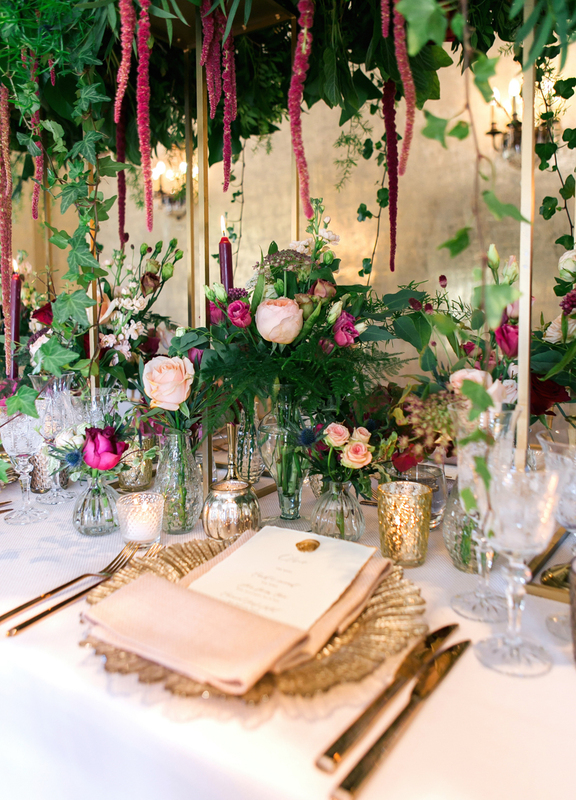 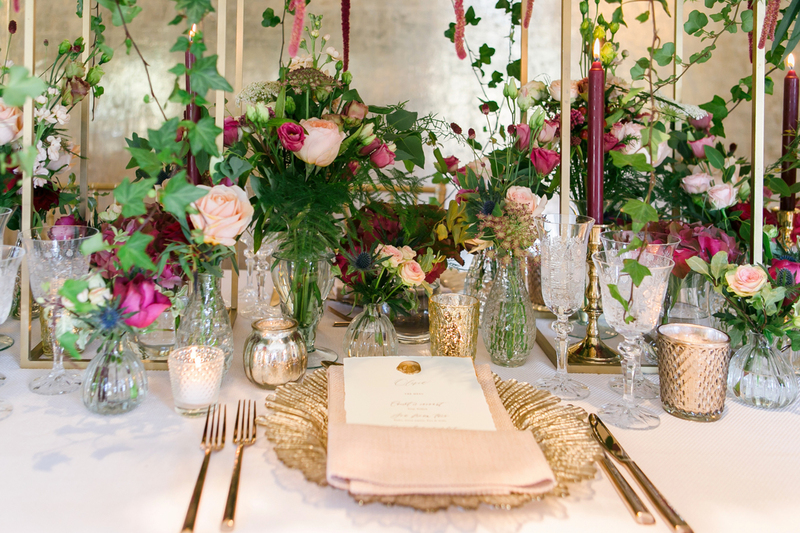 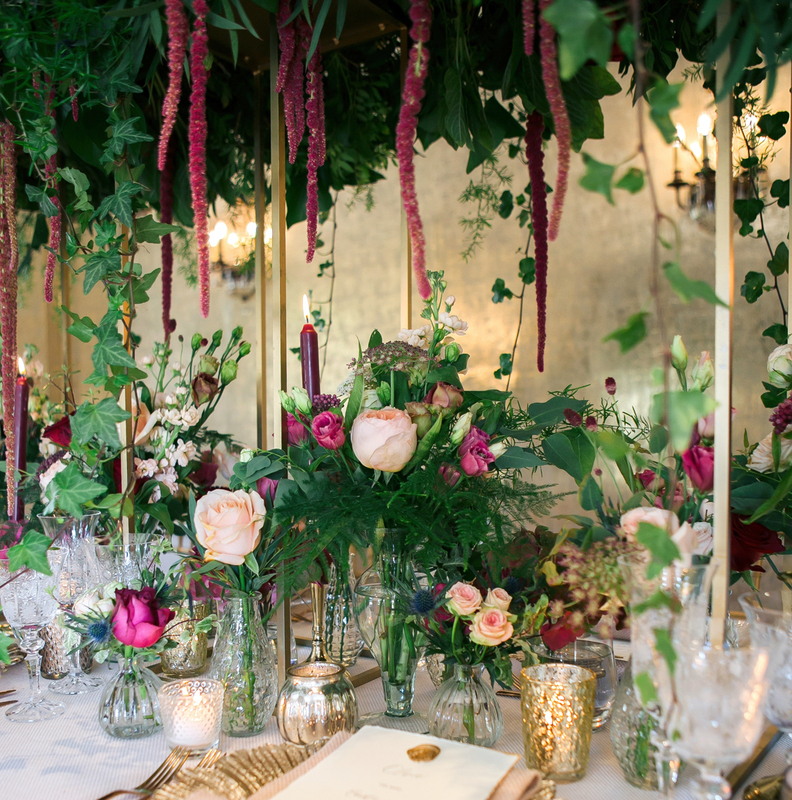 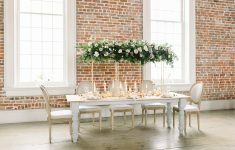 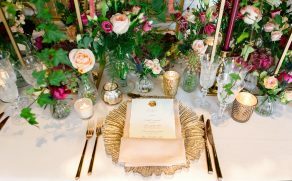 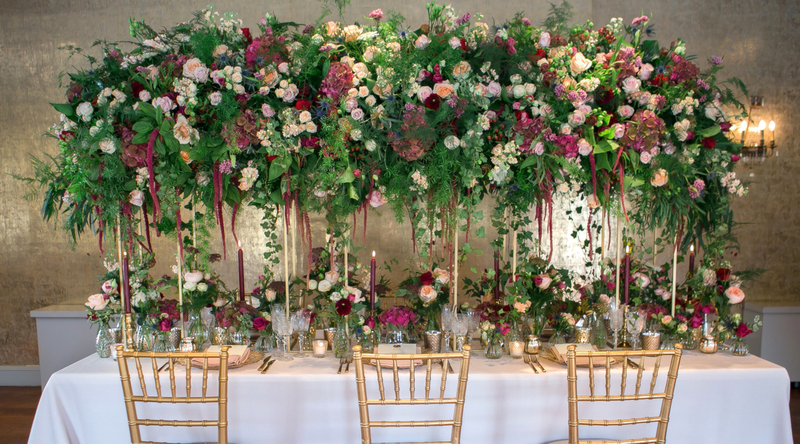 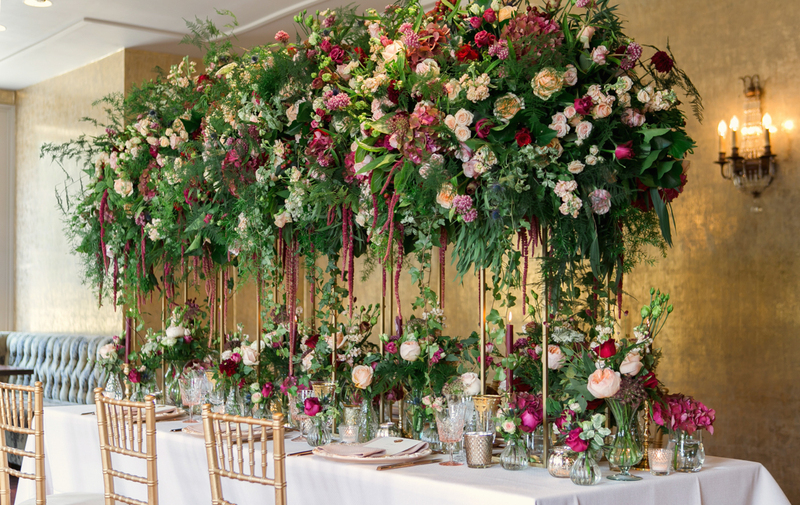 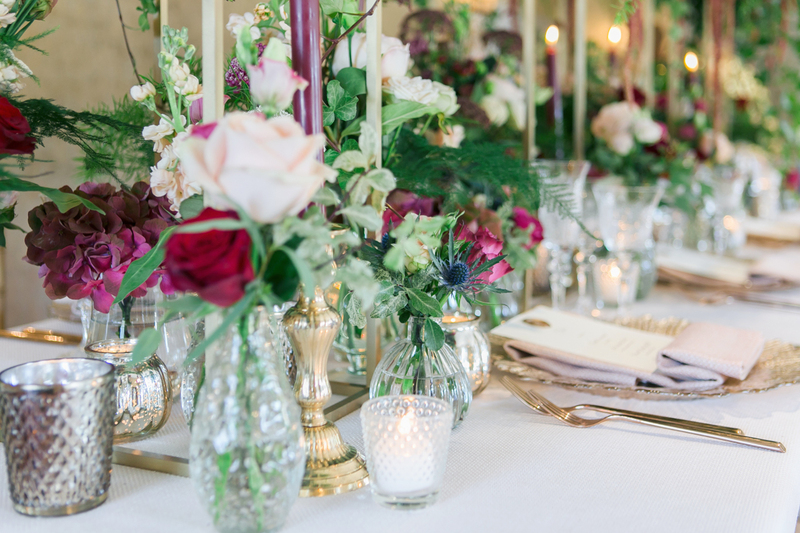 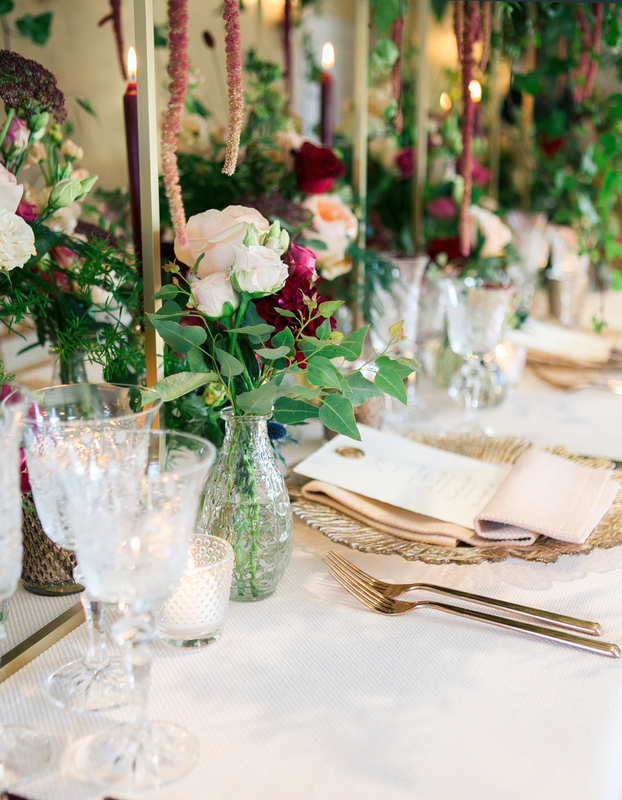 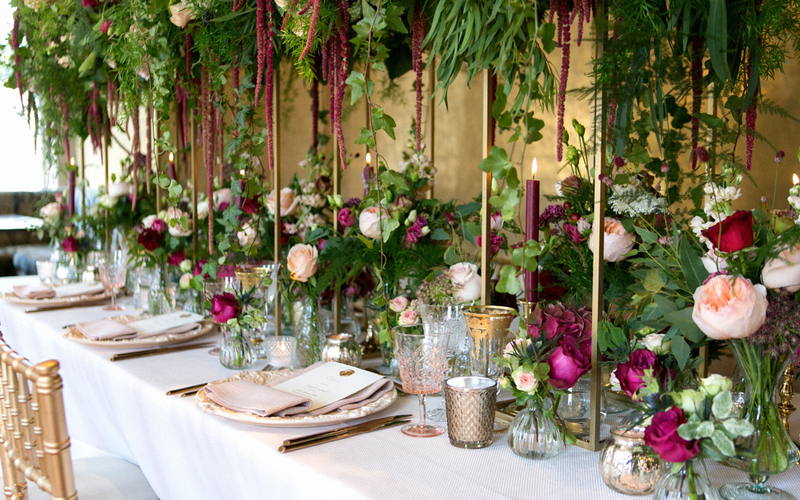 The large floral design set on tall metallic stands to create height and drama, whilst a mass of mixed height vases, brass candle holders with berry tapers, mixed metallic votives in copper and gold adorn the table itself. 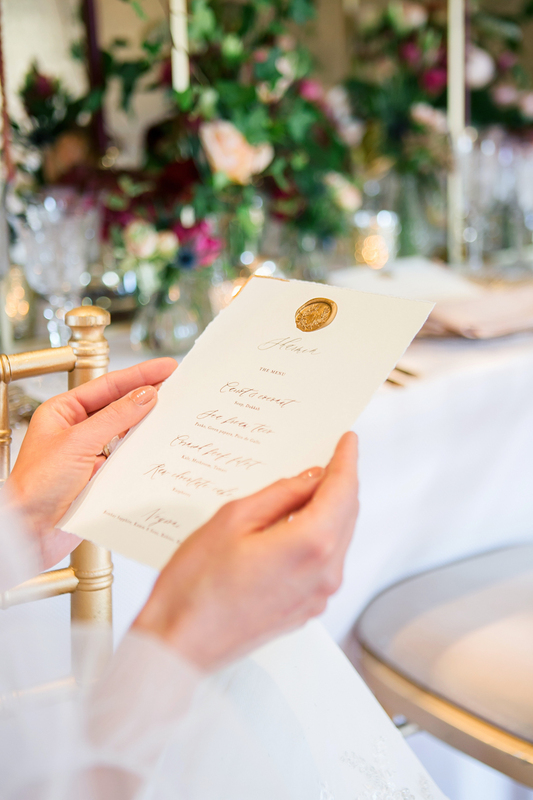 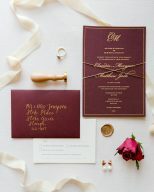 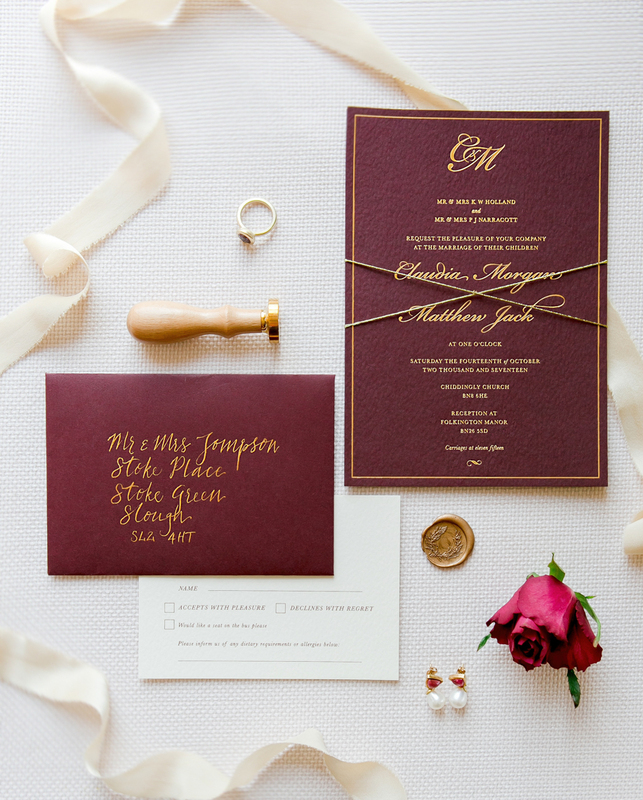 Each place setting is laid with elegant menu stationery created by Lynda Loves, on watercolour textured card with a deckled edge finish with hand calligraphy and a gold wax stamp detail. 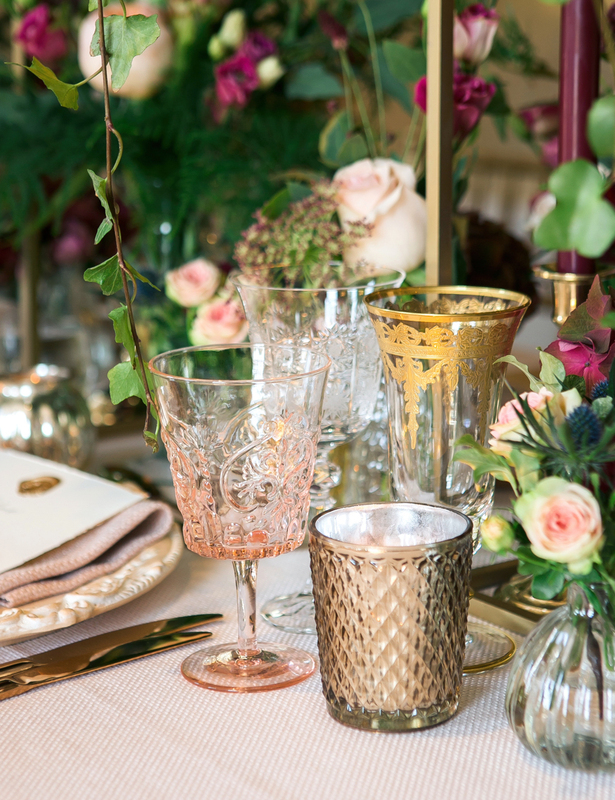 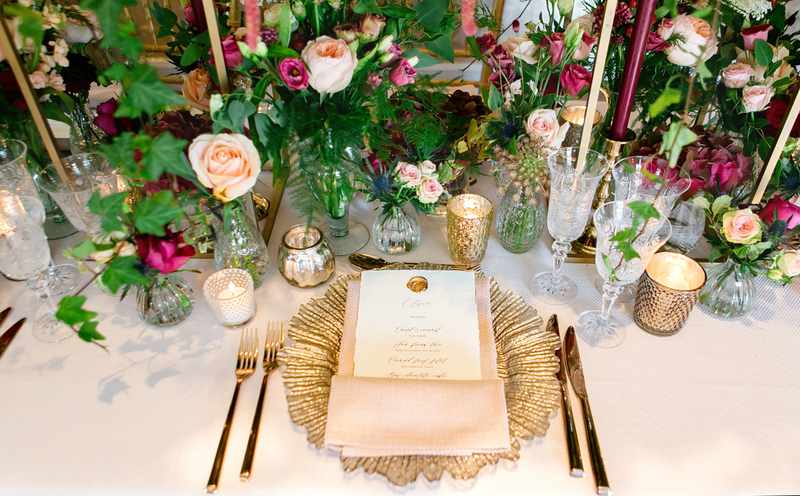 Complementing the style, in between the striking gold cutlery, is an intricate charger plate and a selection of mixed cut crystal style glassware, supplied by Duchess and Butler. To lift the deepness of the colour palette, each place setting is accented with peony and blush heavy textured linen and napkins from the Urbane range by Just 4 Linen.